The governing body won't pursue allegations because of the club's three-year ban from Europe. UEFA will not investigate allegations that Rangers were incorrectly awarded a licence to play in European competition in the 2011/12 season. A statement to STV draws a line under the matter from the governing body's point of view, saying Rangers' three-year exclusion from playing in Europe after going into liquidation was the major factor in a case not being pursued. A group of Celtic shareholders have actively campaigned for a review of the decision for several years and recently contacted the governing body for clarification as part of an ongoing campaign referred to as Resolution 12. Their questions centred on whether the Ibrox side fully disclosed the details of an unpaid £2.8m tax bill to HM Revenue and Customs, commonly known as the "wee tax case", ahead of their participation in the Champions League five years ago. UEFA rules demand participants in the Champions and Europa Leagues declare to them any "overdue payables" to the taxman, with details on whether there is a commitment to repay amounts, or a dispute over any bill. 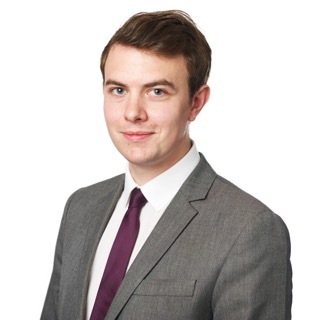 Failure to disclose accurate information during what is referred to as the "monitoring period", which is spread over two dates in June and September, can result in sanctions. A UEFA spokesperson told STV: "As a consequence of decisions taken against Rangers FC in 2012 as well as the administration of the club and the events and measures that followed (including the club being ineligible to apply for a licence to participate in UEFA competitions for three seasons), there is no need for UEFA to investigate this matter any further since the club was not granted a licence to participate in the 2012/13 UEFA club competitions, the club entered the fourth tier of Scottish football and it was not able to play in UEFA competitions for the next three years in any event." STV asked the governing body for further clarification on whether an investigation took place, and on whether they were satisfied the correct procedure was followed. UEFA replied that they had no further comment to make. The Scottish FA have stated that Rangers did not have any overdue payables at the March 31 deadline set down for clubs to make successful applications for an endorsement for a UEFA club licence. If Rangers did have an overdue payable by the June deadline set by UEFA, they would have had until September 30 to prove the matter had been resolved. Consequently, there is no question of Rangers having been excluded from European competition in 2011/12. Instead, any sanction would have applied to future seasons. As a precedent, clubs who fail to declare or repay overdue amounts to the tax authorities have typically been banned from UEFA from playing in Europe for one season in any of the following three years after a sanction is imposed. UEFA ask clubs to inform them by June 30 each year whether they have any outstanding amounts due to the tax authorities. This is known as the monitoring process. Owing money does not automatically result in a sanction. Money is not termed by the governing body as "overdue" if an agreement is in place between the club and tax authorities to make payment at a later date, or if a legal dispute over the validity of any bill is ongoing. Rangers had to send a declaration to UEFA on June 30, 2011 stating the true position on the status of the bill. The club would also have had to report to the governing body on plans to pay by September 30, 2011 if they declared they had a payment outstanding. The Celtic shareholders behind the complaint to UEFA allege that the status of the bill changed shortly before that deadline. The clarity they sought from the governing body was over whether the relevant conditions were met. The onus to investigate falls on UEFA's Club Financial Control Body (CFCB) and they hold the power to impose disciplinary measures if a club fails to fulfil the monitoring requirements. Any investigation by the CFCB which leads to a guilty verdict has a limited scope of sanctions available to it, ranging from a warning to a maximum fine of €100,000. Clubs can also reach a settlement agreement with the CFCB. The body also has the power to refer any case to the more-powerful Adjudicatory Chamber. They have a wider range of punishments, including disqualification from the UEFA competition in question or a ban on qualification in future years. Many clubs have reached settlement agreements in the past, or had their cases referred to the chamber, as a result of non-compliance with the monitoring process. In the 2013/14 season, Serbian side FC Crvena Zvezda were found to have submitted misleading information with regards to overdue payables to employees. They were banned from participation in the 2014/15 UEFA Champions League. Other clubs who accurately reported overdue payables to UEFA during the years 2013 to 2015 were also banned from future participation for one season after failing to then pay the amounts back in full. The Scottish FA effectively act as a sponsor for any team entering European competition, ensuring clubs comply with licensing criteria handed down by UEFA. A deadline of March 31 is imposed for clubs to submit the relevant facts to them, before UEFA take over. 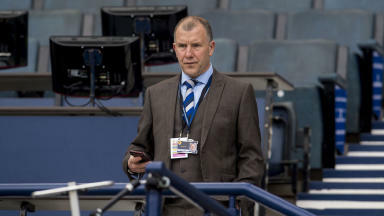 Chief executive Stewart Regan, speaking to STV earlier this month, said that questions on the Scottish FA's actions had been answered, that the requisitioners had been satisfied with the response and any further questions should be directed at UEFA. He said: "There has been a reply. We've been in dialogue with Celtic Football Club on the matter. "My understanding is that the requisitioners have accepted that they have no issues with the granting of the licence to Rangers in 2011." Regan continued: "What they [the requisitioners] do have an issue with is the monitoring period immediately following that licence in March 2011. "Our position on that is that we have complied with UEFA requirements in the period immediately following March 2011 and clearly if there is still an issue with the requisitioners then that's for them to take up with UEFA. "We've said if they do that then we'll fully cooperate and comply with any requests for information from UEFA and we've provided details at UEFA for the requisitioners to make contact. "So we believe that the matter has been communicated to those involved and they will deal with it as they see fit."